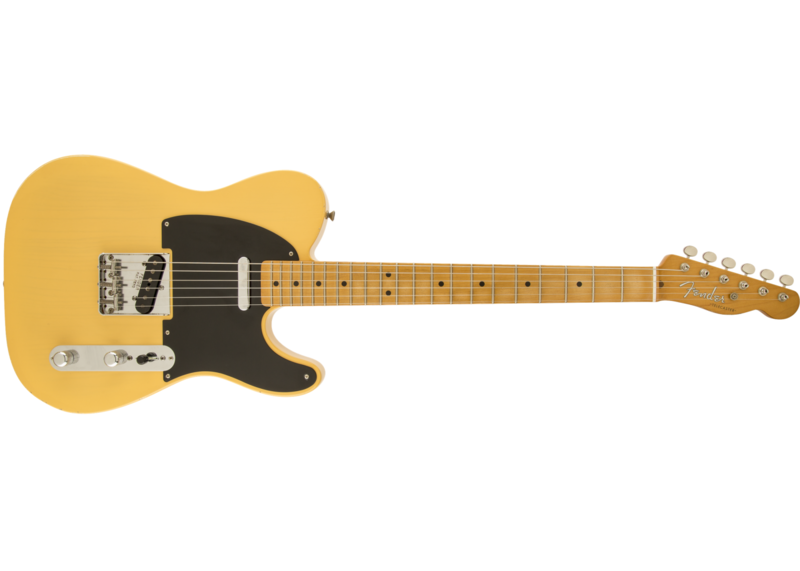 The first Fender workhorse; the original road warrior guitar. 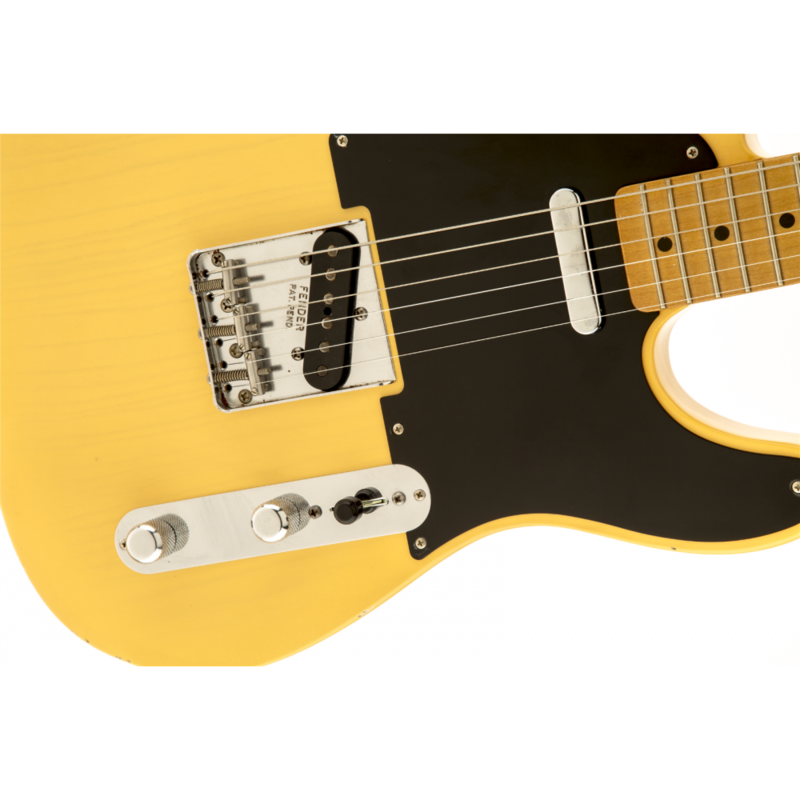 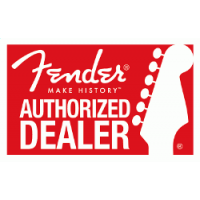 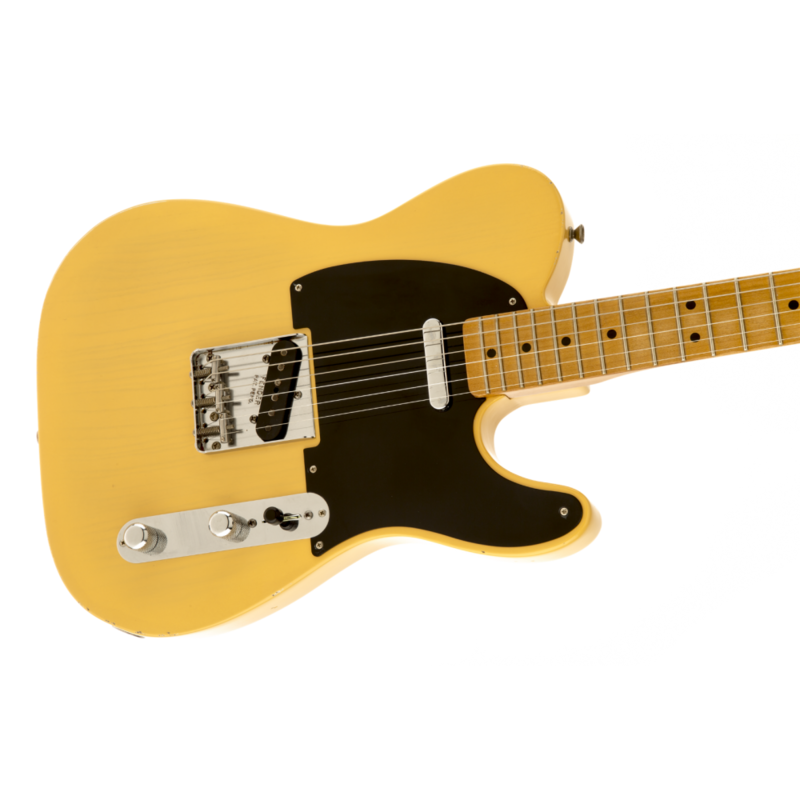 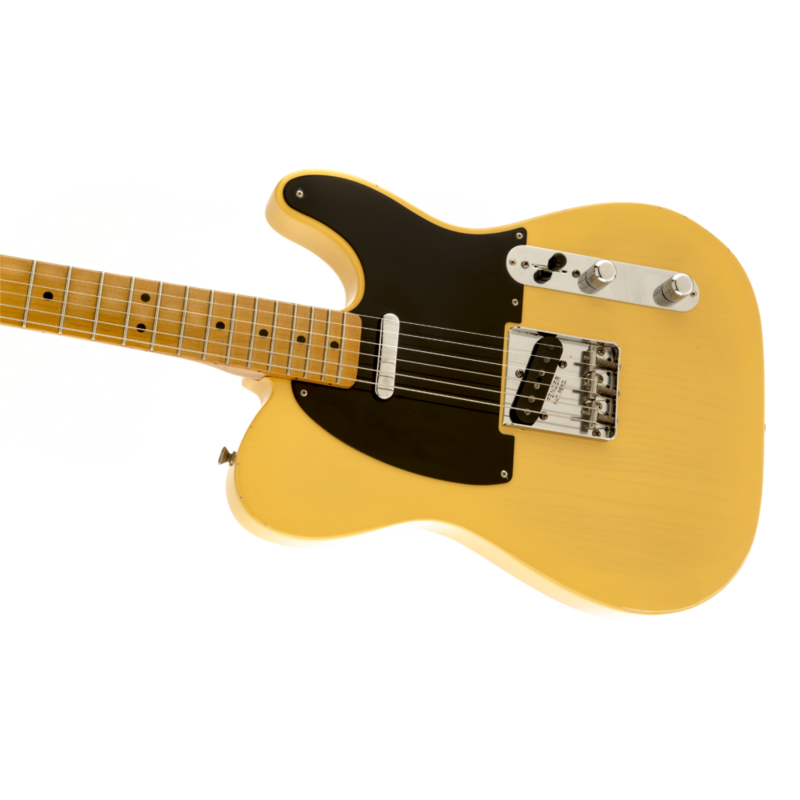 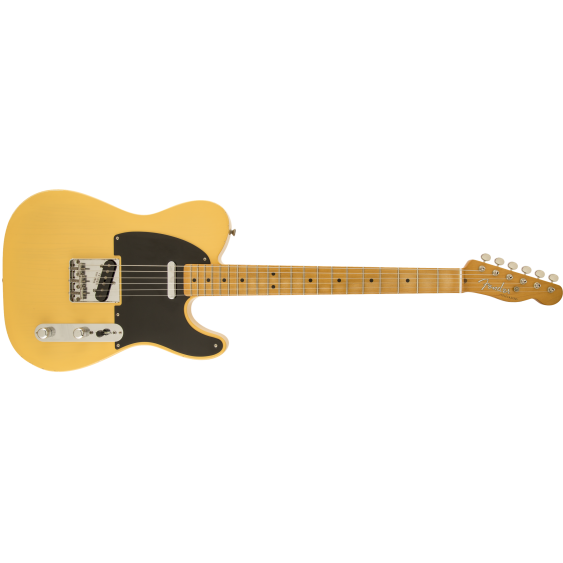 Fender's long road begins with the Telecaster® guitar, a guitar that amazingly looked even cooler and handled even better the more players heaped wear-and-tear on it - great when brand-new but positively phenomenal with a few thousand miles on it. 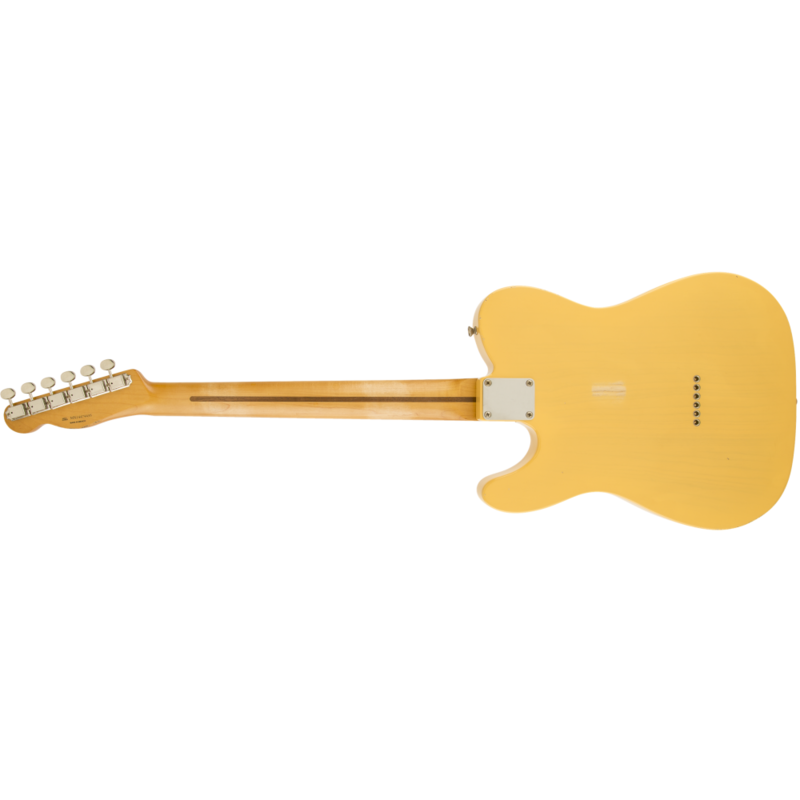 Fender's maple-fingerboard Road Worn® '50s Telecaster delivers that aged look and feel - built to look, sound and feel like it has survived half a century, designed with 1950s specs, including a nitrocellulose-lacquer finish, and supercharged with Tex-Mex™ pickups and 6105 frets.